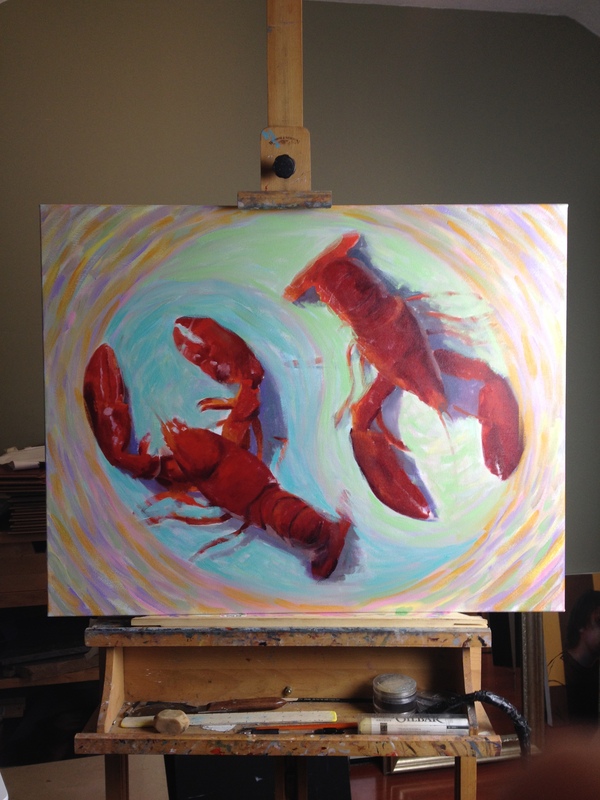 Remember last November, when Cindy Procious and Mia Bergeron had that fantastic two person exhibition with us? 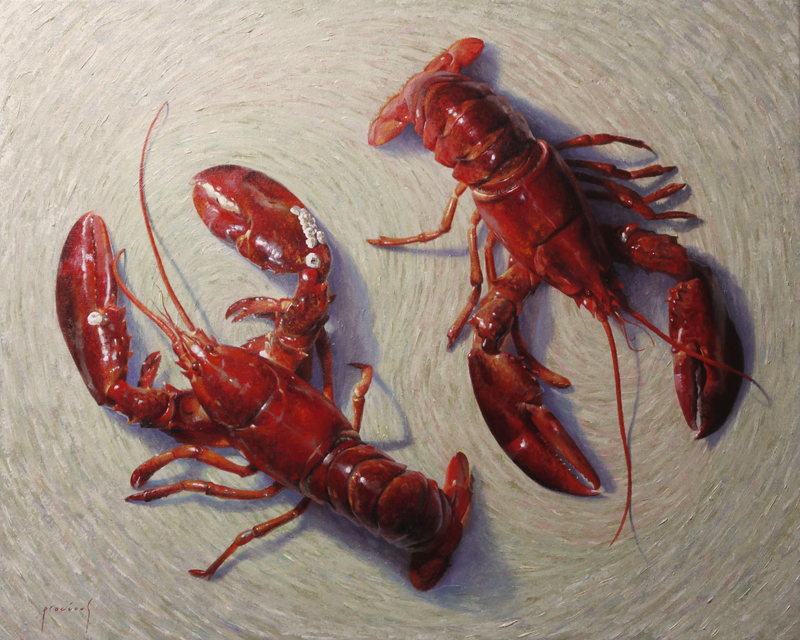 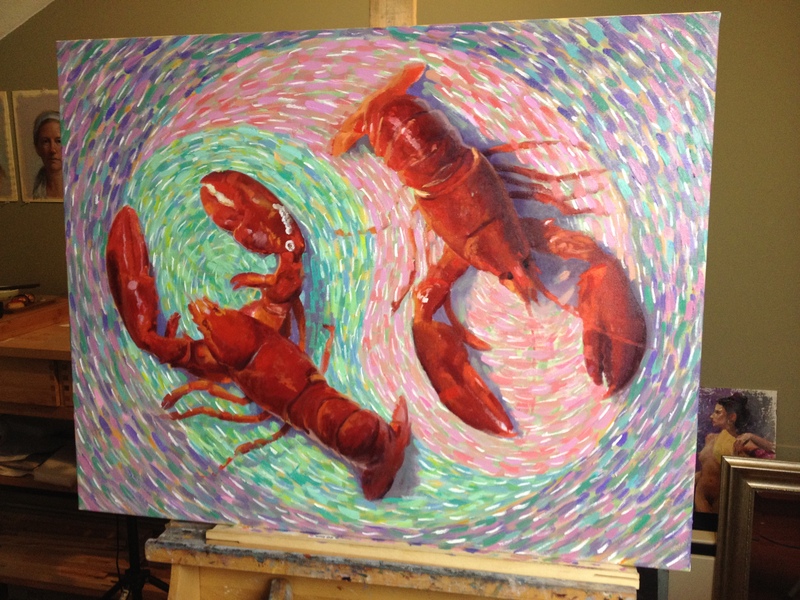 One of Cindy’s largest paintings in that show was “Yin and Yang in a Crustacean World”. 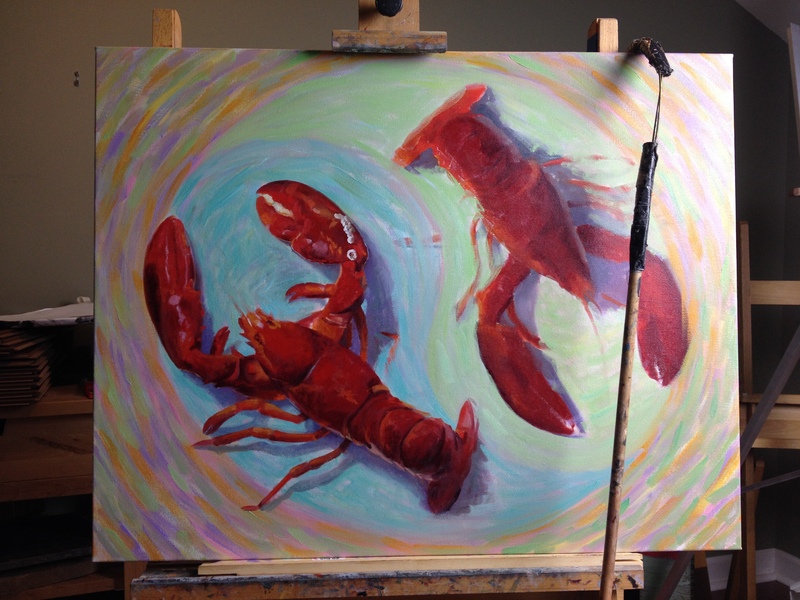 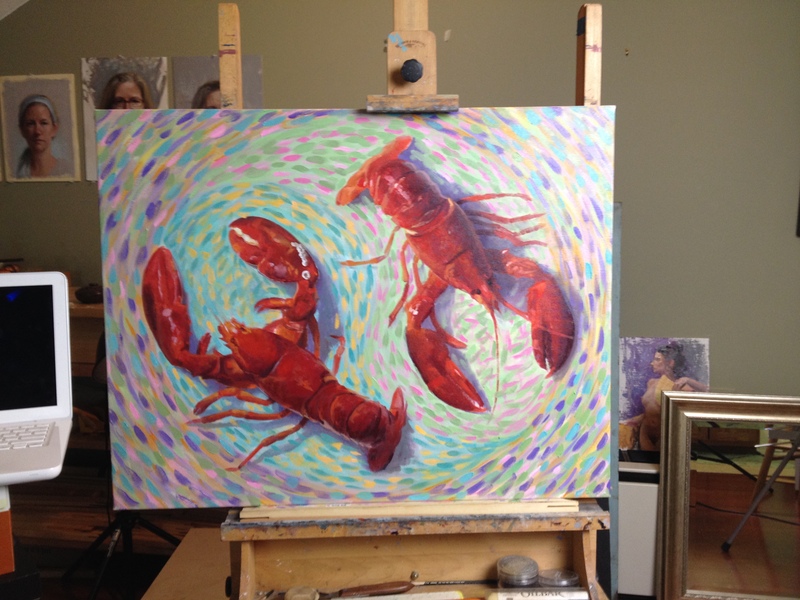 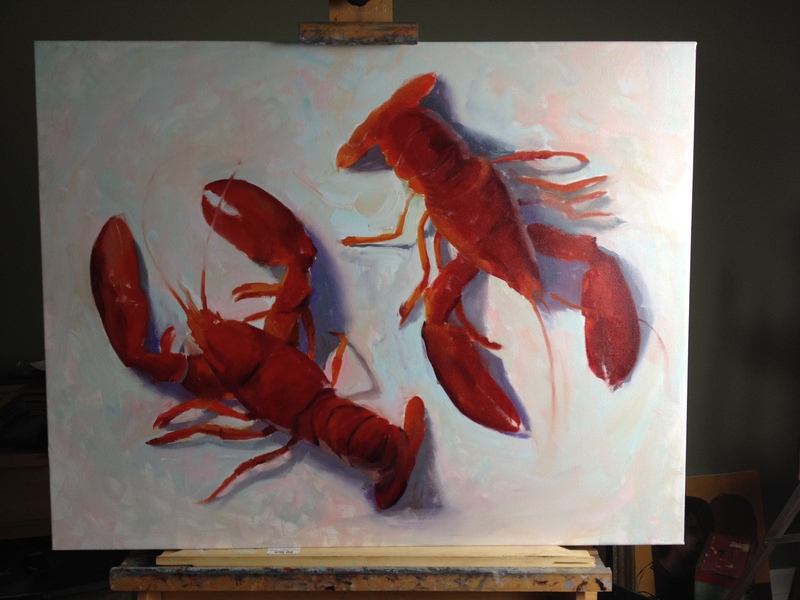 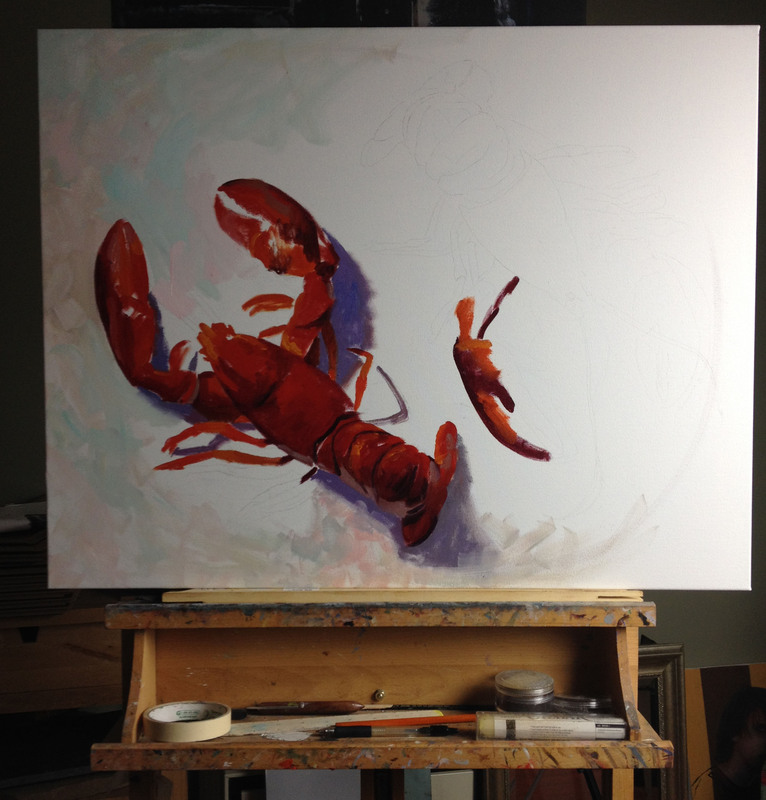 Check out these in-progress photos Cindy took to see the awesome journey these two lobsters went on! 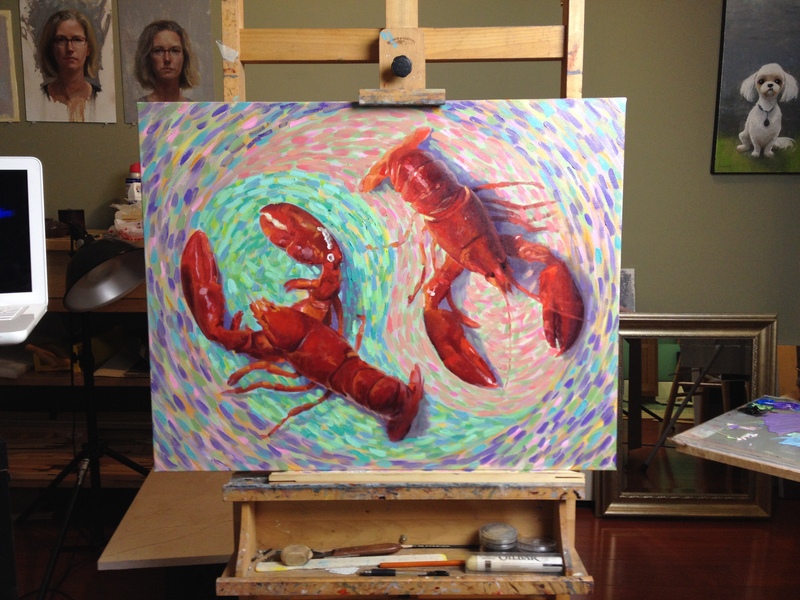 For more awesome artworks by Cindy, click here to check out her page on our website!